Red Knights drop pair of one-goal games to ranked opponents. 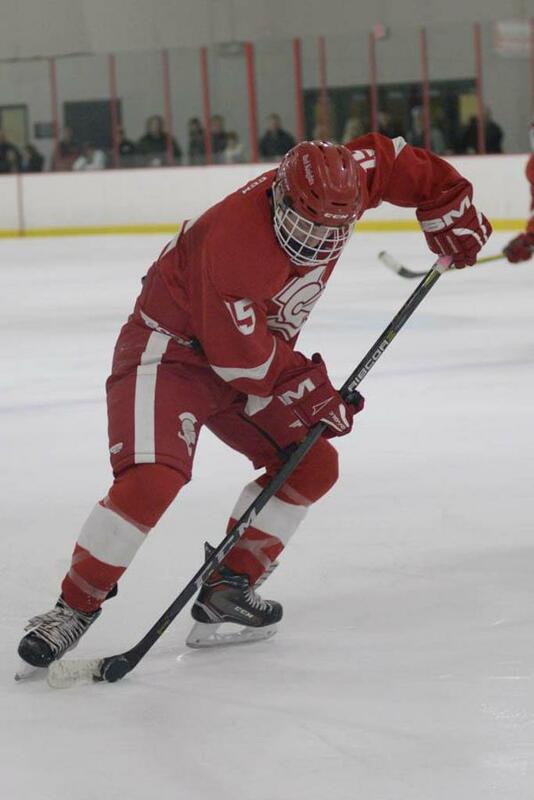 PRIOR LAKE, Minn. -- Benilde-St. Margaret's ran into a trio of ranked opponents at the Tradition Hockey for Life Classic and dropped a pair of one-goal games before being shutout in the finale. In Thursday's opener, the Red Knights came from behind on three occasions before dropping a 5-4 overtime decision to No. 20 Stillwater. The Ponies opened the scoring one minute, 58 seconds into the contest but Jonah Mortenson tied the score when he deflected a Nate Clark with 1:48 to play in the opening period. Stillwater again jumped in front when Adam Eisele scored the second of his three goals on a penalty shot but Ian Bahr deflected a clearing attempt by Pony goalie Jesse Brown while killing a penalty. Eisele's third goal and a power-play tally by Josh Long gave Stillwater a 4-2 lead midway through the final period but Matt Kocourek and Joe Collins scored goals 1:23 apart to tie the game before the Ponies scored a power-play goal with 2:34 to play in overtime. Friday's game resulted in a 3-2 loss to sixth-ranked Holy Family as each team scored a pair of power-play goals. Bahr and Dylan Hoen tallied for the Red Knights but the game was decided with 4:04 to play when Joe Hankinson scored his second power-play goal of the game. Carson Limesand stopped 25 shots in the defeated, including 13 of 14 in the final period. Saturday's finale saw the Red Knights stay close to 12th-ranked Elk River before the Elks tallied five times in the final period for a 7-0 win. Cavan Slocum, making just his second start of the season, stopped 20 of the 22 shots he faced in the first two periods to keep his team within striking distance. Thursday, the Red Knights return to Metro West Conference play when they will be at Chaska for a 7 p.m. game versus the Hawks at the Chaska Community Center. Ian Bahr scored a power-play and a short-handed goal for the Red Knights.